8 Tips to rock change in your organization. 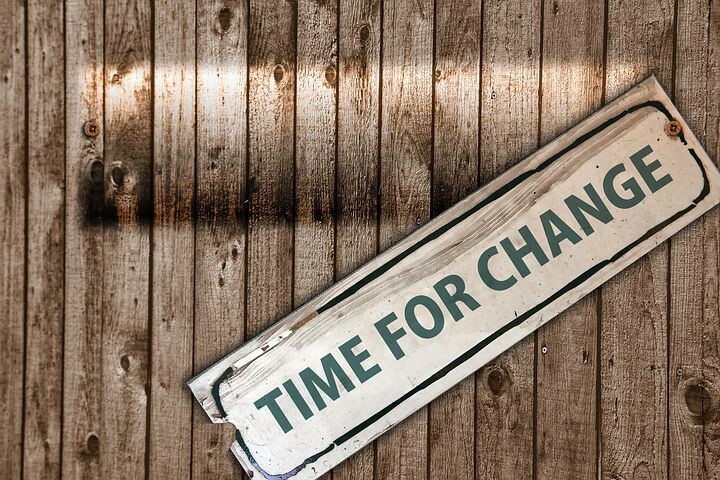 The majority of people in your organization may not like change — that fact will not change. However, the best thing you can do to get your people to accept change is to openly communicate with them. What a concept, right?! The more lead-time you can give your people the better. As a general rule of thumb, start communicating the change about 90 days prior to the change taking affect. Keep in mind, once you begin communicating the change, the “ball is in motion:” you are committed! Unexpected changes are bound to occur, and you must be ready for them. During my time in the military, I had specific programs I was responsible for. I also had an “alternate” to complete my responsibilities in the event of an emergency. Essentially, this kept us prepared for the unexpected. You can do the same by preparing your people for unexpected misfortunes and changes by developing “what if” scenarios. “What if” you didn’t come in tomorrow?… who would complete your responsibilites? Develop your people to fill in for each other in case of emergencies. Have a backup plan when unexpected change rears its head! This can be your most rewarding moments as a leader. Take the time to involve your people during every stage of the change. The more people you involve with the change, the better, providing each person has a distinct responsibility in the change process. When your people are involved with the change, they develop a sense of ownership and they want to see it succeed. Give them all the opportunity of being a part of the “next chapter” of your organization. As soon as you begin to see the change being completed, you must lock it into place. You can do this best by getting rid of everything that resembles the “old way” and rewarding your people as they complete the change. This is the phase of change organizations often forget about. They go about their business and leave access to the “old way,” while their people begin to fall back into their old habits. Lock in the new and toss the old! Leaders must be engaged throughout the change process. This starts by leading the way. There aren’t many things worse than a leader who fails to comply with a change; a leader who thinks they are “above the law” will kill a change in its tracks! Be one of the first ones to complete the change, then assist your people throughout. 6. First & Last Most Important… Middle is Easy! When you put forth the effort to communicate openly prior to the change occurring, and lock in the change after it is complete, the actual changing becomes very easy. The best thing a leader can do while the change is taking place is to be present and active. Engage with your people and encourage them. Keep them focused on the benefits of the change and pointed forward. It’s not a question of if resistance will arise, it’s a question of when it will arise, and quite frankly, this is what a leader gets paid for! Leaders need to address resistance head-on and directly; resisters will not go away on their own. Stand your ground when your “resisters” rise up and don’t back down! Some may be so resistant they’ll quit… let them! Remember, it’s nothing personal, some people are just that way. Keep to the plan, and see your team through the change. 8. Set Deadlines & Hold Accountable! You can do yourself a big favor by setting deadlines early in the change process, and as the deadlines approach, hold your people accountable. Accountability, will either “make or break” the success of your change. Leaders who don’t hold people accountable are simply killing the organization and any beneficial motivation the new change brings. Don’t be that leader…set deadlines and ensure your people meet them! The bottom line is change does not have to be difficult. Sure, you will have resistance along the way, however, if you communicate the benefits early on, lead the way throughout, and lock the new change into place, you have a great chance of conquering the challenges of change. Meet it head-on… Run To your challenges of change, and experience the greatness when it all comes to fruition. Enjoy the challenge!